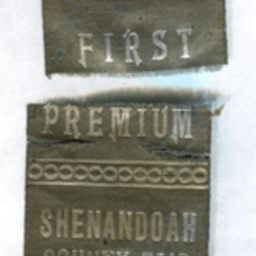 In early 1916 a group of locals launched an effort to showcase the area. 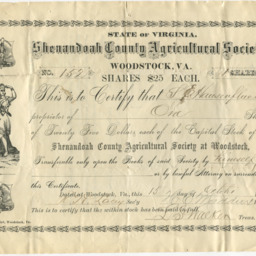 They sold shares of stock to finance their venture. 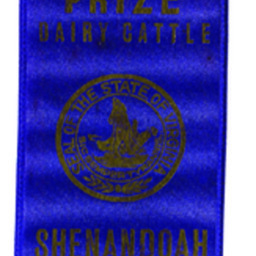 On December 1st, the 338 individuals who had invested in the project met at the Shenandoah County Courthouse and organized the Shenandoah County Fair Association. 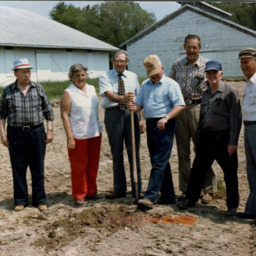 This group would soon purchase an existing grounds outside Woodstock. 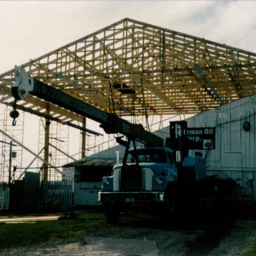 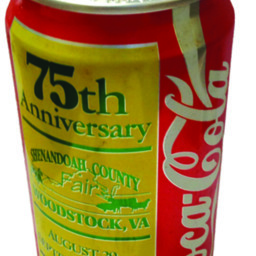 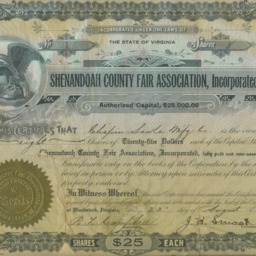 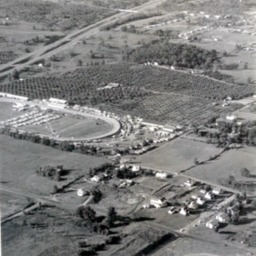 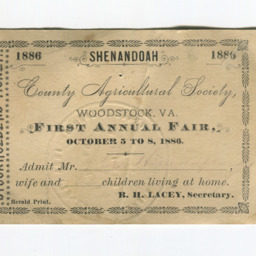 That site, complete with grandstand, track, and exhibit building, had been developed by the Shenandoah County Agricultural Society. 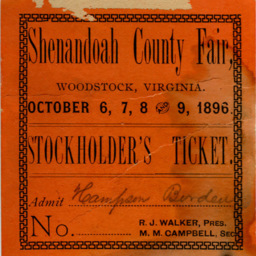 They had organized in 1886 and sponsored fairs until 1915 when the venture ended. 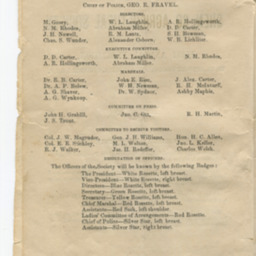 The new association would prove to be a success. 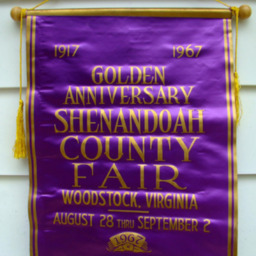 Starting in 1917, they would hold annual fairs every year except during the Second World War. 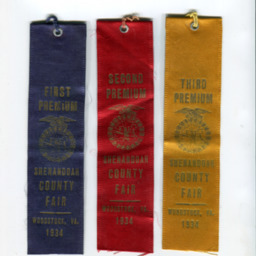 These events highlighted agricultural products, local businesses, and home crafts. 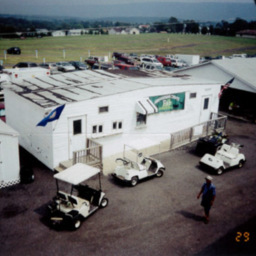 They also provide entertainment for local through concerts, rides, games, and the popular harness racing. 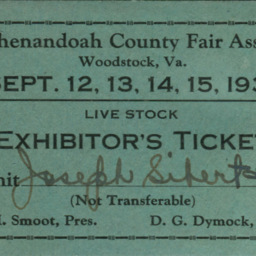 Some of the history of this event is evident of the tickets, documents, building, and photographs surrounding you. 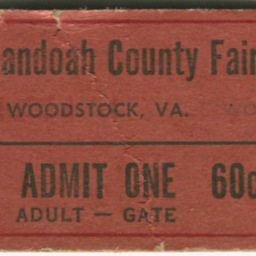 However, much of it is part of the memories of those who attended. 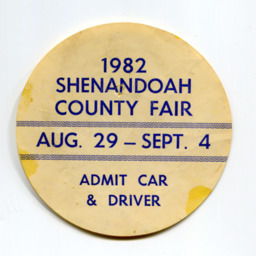 What stories from fair’s past do you remember?